At this point it’s not a new or novel statement to say that there is a lot more bad news out there than good news these days. For the love of Lloyd Christmas, it’s become a deluge-level onslaught of horrible and of course it’s become damn near unbearable. On top of all that, the effin’ Yankees are somehow good again, a year or two before they were expected to be, all of which provides further proof that things are close to being beyond repair. It would then go without saying that positive sources of entertainment are worth more now than possibly ever. Because of this, we’re able to overlook the fact that the first two episodes of Curb Your Enthusiasm have been just okay because in all honesty, we’re just happy the show is back and instead of focusing on our struggles, it’s better to focus on Larry David’s. That is a proven fact. Yet another bonafide positive source of entertainment that hasn’t gotten as much attention as Curb, but certainly merits it is The Good Place, which is now a few episodes into it’s second season. I can tell you it’s a worthy distraction and so can the show’s creator. You are free to take both of our words for it. Hey everyone! The world is terrible! So watch tonight's #TheGoodPlace and marvel at how good @TedDanson is at comedy. It'll make you happy. And it’s true, The Good Place will make you happy, slightly surprising seeing as how it’s a comedy set in the afterlife and not the…well, I don’t want to spoil anything. It takes place in the afterlife. The first season was refreshing, wildly funny and endlessly interesting. Each episode made you think on average of three times per episode, often about not-so-light and not-so-run-of-the-mill topics such as a our own mortality, right and wrong and the lengths will go to to ensure our own survival. Ethics plays a major role in the show, so much show that one of the main characters was a professor and expert on the matter, something that drives him to the brink of insanity on a regular basis. It’s hard enough trying to do things the right way; even harder when you are breaking down the reason for doing said things the right way. Anytime you willingly look behind the curtain, it complicates things. In the show’s second season, they have continued along the same path as the first season, all while upping the stakes. They’ve turned tables, turned the tables back, turned them again, ditched tables, created new tables and flipped those as well. It’s an amazingly brave show and you can tell that it’s creator Michael Schur, who created Parks and Recreation and Brooklyn 99, is digging into his massive tool chest of experience while piloting the show. It’s fun too because of how it gently reminds you off the Parks, as well as The Office, and calls to mind a time when shows had both a heart and a brain, not only a desire for cheap laughs. That heart really started to show itself in this week’s episode “Existential Crisis” as the show started flirting with a new emotional vibe, sweetness. I was wondering when it was coming. The presence of sweetness was one of Parks and Recreations best qualities. It was a hilarious show with fantastic characters, but the fact that those characters cared so much about one another was down right wonderful. There was a level of joy on that show absent from so many other shows. Since The Good Place had started I was waiting for it to show up because I just knew that if Schur was at the helm, joy and sweetness would follow. 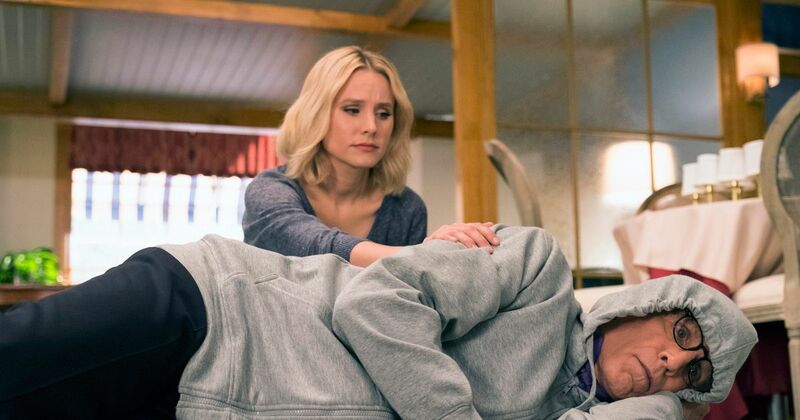 So far there have been hints, mainly between Eleanor and Chidi, but in “Existential Crisis” that Schur sweetness was pushed to the forefront in the an eleventh hour scene between Tahani and Jianyu, with Jianyu cheering Tahani up. On another show, it could have happened, but wouldn’t have had the extra gear to it. But because the show has done such a great job of subtly developing and fine-tuning Jianyu’s character, it made his words of comfort to Tahani mean that much more. And it’s not as if they put words in his mouth that didn’t make sense for the character. They were Jianyu’s words, delivered perfectly. When it happened I turned to my wife and said “and now this show’s starting to get sweet on us. As if it weren’t good enough already.” It was a throw away line on my part, but thinking about it this morning, it was both my main takeaway from the episode and indicative of how much I enjoy the show. So yes, things are pretty bad right now and it’s easy to get wrapped up in all the negativity and to hop on board the numerous outrage trains leaving the station on a regular basis. But you can’t let it consume you, you can’t let it be your everything. Distractions have always been important and these days, they just might be that much more so. You’d be hard-pressed to find a better distraction than The Good Place right now. Throwing your phone into a lake might work as well.